Paul Hannigan President LYIT. Helen Donoghue New Frontiers Enterprise Support Officer. Carole Brenan Enterprise Ireland Senior Regional Executive. 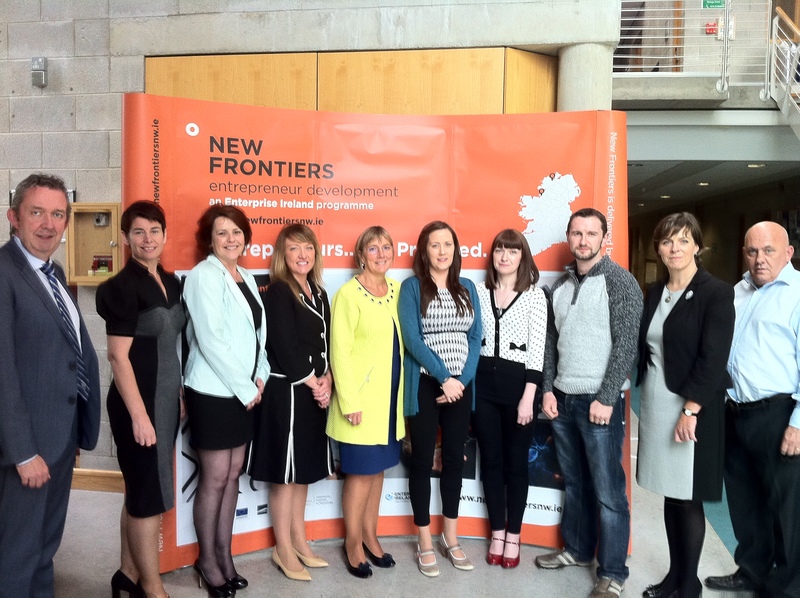 Michelle Connolly New Frontiers Manager. Julie Sinnamon Enterprise Ireland, CEO. Emer McGarry Palizza New Frontiers, Phase 2 Participant. Maggie Green The School Door New Frontiers, Phase 2 Participant. Tony McGarry Message Cue New Frontiers, Phase 2 Participant. Meabh Conaghan Enterprise Ireland Senior Executive. Patsy Donaghey LYIT CoLab Centre Manager. John Andy Bonar Head of Development, LYIT. Julie Sinnamon, CEO of Enterprise Ireland, visited the North West on Friday last and was impressed by what she saw. Ms. Sinnamon, who has been CEO of the Irish Government Agency since November 2013 [and who has overall responsibility for starting and growing Irish-owned businesses with capability and ambition to grow sales in global markets,] had a full itinerary for her visit, which included a visit to CoLab at LYIT, the New Frontiers Programme participants, and the WiSAR Research Centre in Letterkenny. Also on the itinerary were visits to a number of Enterprise Ireland client companies and the small matter of delivering a keynote Speech at the inaugural Gaeltech Conference in Gweedore where she shared a platform with Colm Lyonof Realex Payments. 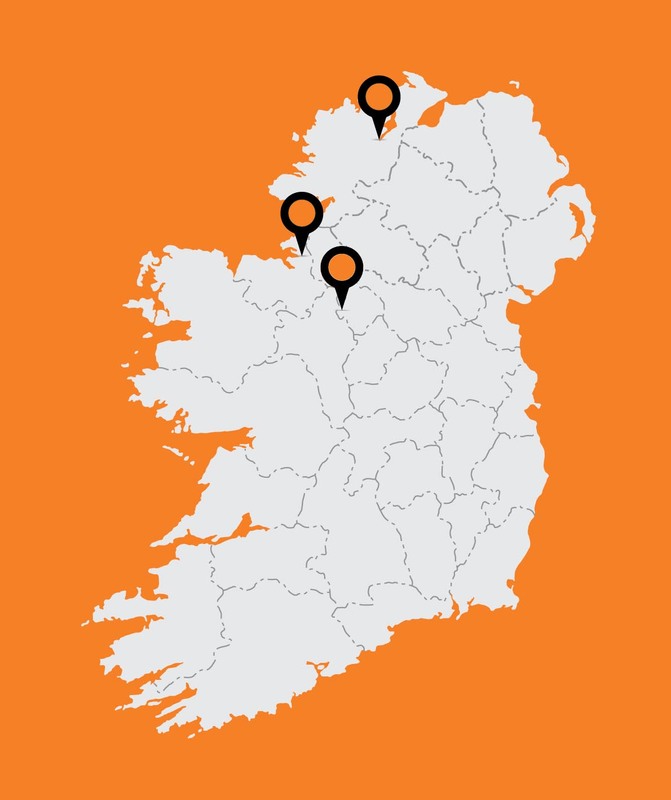 Recognising the important contribution to entrepreneurship development that The New Frontiers Programs make the itinerary included meetings at the New Frontiers Program in the North West which is/are is delivered at local level by Institutes of Technology / LYIT and funded by Enterprise Ireland. There were meetings with businesses in the newly extended CoLab Incubation Centre who impressed the visiting CEO with their strong value propositions and their clear demonstration of the potential for their businesses in international markets, resulting in employment creation in Ireland. As the first female CEO of Enterprise Ireland, Ms Sinnamon is an obvious proponent and supporter of ambitious businesswomen, not, she stresses, because she is a woman herself, but because she believes that Ireland needs to harness all our capabilities, to drive continued economic success, and women are under-represented and an under-utilised resource. The women who met the CEO were certainly encouraged by her message. The hope is that they will be spurred to continue their innovation journey, driving their businesses forward in emerging knowledge sectors, in the North West Region. Ms Sinnamon’s visit to the North West is indicative of Enterprise Ireland’s regional development priorities and also the Government’s Regional Action Plan for Jobs, launched in February 2015, both aimed at encouraging communities and agencies in each region to work together to support regional job creation.